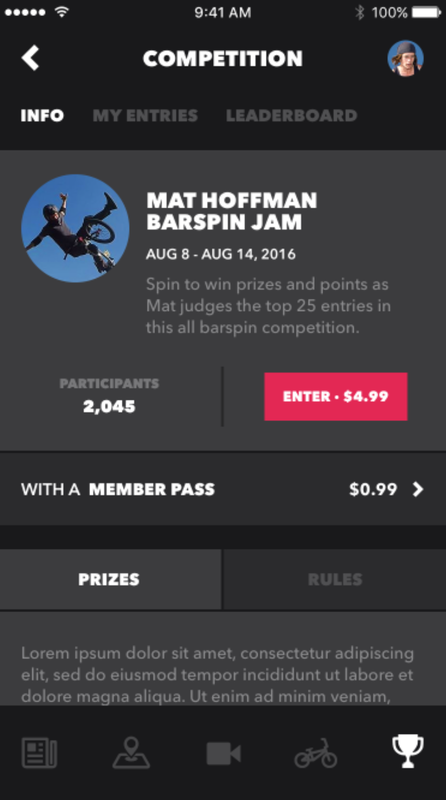 BMX Freestyle is the official social network and competition platform for the sport of extreme bicycle trick riding. This app represents my best work - an elegant and feature rich experience architected with cutting edge practices and technologies. This app does it all. First, the user can record and edit their videos, then tag them with tricks, locations and thumbnails. Next, they can follow, like, rate and share videos from the community and top professional riders. Users can enter competitions (powered by Apple Pay and Stripe) and win prizes ranging from stickers to cash purses. Working with the wonderful team of designers and back end engineers at New Medio, this app was conceived and architected in intricate detail every step of the way. Working from complex business requirements, the development was managed with pure agile methodologies, in a dynamic environment. This app utilizes : 4 storyboards, 8 CocoaPods, 15 frameworks, 121 images, 146 Swift source files, 987 Git commits, and countless hours of passionate engineering.